The Gustavus volleyball team will host the First Annual Grass Volleyball Tournament on Saturday, June 11 on the Gustavus Intramural Fields. 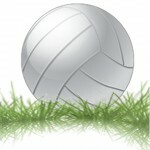 Funds raised from the tournament will be used to support the volleyball program. Prizes will be awarded to the top team in each division. 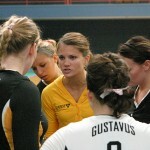 The Minnesota Intercollegiate Athletic Conference announced its Fall 2010 Academic All-Conference Team and Gustavus volleyball player Jenny Ewert was named to the academic honor squad. 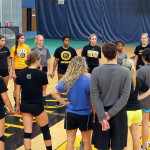 The Gustavus Adolphus College volleyball team is excited to offer the first annual clinic for Kindergarten through 6th grade players as well as for 7th – 12th grade volleyball players. The clinics will take place on Saturday, February 5 in the Lund Center on the Gustavus campus in St. Peter, Minn. The Gustavus volleyball team dropped a Minnesota Intercollegiate Athletic Conference match to Bethel University 3-1 on Wednesday night in Arden Hills. 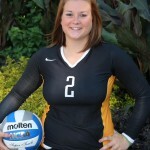 First year outside hitter Dana Boerboom led the Gusties with 16 kills. The Gustavus volleyball team pushed #18 Concordia to the limit on Friday night in St. Peter, but could not close the deal and lost to the Cobbers 3-2. 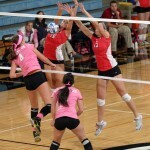 The set scores were 25-19, 13-25, 25-21, 17-25, 7-15. The Gustavus volleyball team lost its MIAC match with St. Ben's 0-3 on Wednesday night at Gus Young Court in St. Peter. The set scores were 20-25, 19-25, 18-25. Angela Ahrendt led the Gustavus attack as she recorded 12 kills in 26 attempts with one error for an impressive .423 attack percentage. The Gustavus volleyball team turned in a valiant effort against #14 St. Thomas in St. Paul on Wednesday night, but the first-place Tommies prevailed by a score of 3-1 (28-26, 15-25, 25-13, 25-15). 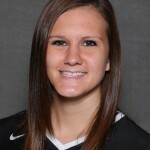 Dana Boerboom led the Gustavus attack with 11 kills. The Gustavus volleyball team dropped three straight sets to St. Catherine University on Friday night in St. Paul and suffered its fifth straight league loss. The Gusties lost the first set 15-25, the second set 22-25, and the third set 29-31. The Gustavus volleyball team suffered another heartbreaking conference loss falling to Hamline by the score of 3-2 (25-23, 25-23, 16-25, 16-25, 15-11) in St. Paul on Wednesday night.